Although the mold itself is not harmful, it produces harmful toxins that can harm people and pets if left to thrive. It can cause allergic reactions and worsens respiratory problems for small children, elderly, and those with a weak immune system. Black mold on surfaces is caused by moisture damage. It appears on walls, ceilings, and even floors where moisture is not properly managed, particularly in your basement. Some live in damp areas of your house such as your bathroom walls after moisture build up. What Kills Black Mold on Walls? 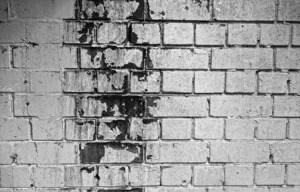 There are various ways you can kill black mold on wall surfaces. You can use cleaning agents such as bleach or commercial mold removers. Great care should be observed when using these chemicals to prevent any health damage. The use of gloves and masks are highly recommended. You can also opt to use natural, more health and environmentally-friendly cleaning agents such as baking soda, vinegar, hydrogen peroxide, and oils such as tea tree oil and grape seed oil. Here are some handy tools you can use before you start your mold-removing project. You can easily buy these from your local hardware stores. You must first assess the damage caused by the unpleasant black mold to know whether or not you can remove it by scrubbing or if you have to remove and replace the damaged part entirely. Run to your local hardware store and buy the shopping list mentioned above. You can also choose to use natural products to remove molds if the damage is not that big. Just keep in mind that rubber gloves and masks are a must, especially since you are doing this project on your own. Clean the infected area and remove anything that might be damaged by bleach and other commercial mold remover products. Wear appropriate protective pieces of equipment such as gloves and respirator before you begin. Open windows to get air moving and to help disperse fumes from the bleach solution. Killing mold with bleach is effective. It kills any kind of mold it comes in contact with on any non-porous surfaces. However, killing mold on porous surfaces such as tile grout, wood, and cement block can be quite difficult. This is because chlorine from the bleach doesn’t reach the root level of mold growth. It leaves moisture content which promotes more mold to grow on the same surfaces that were just cleaned. In making your bleach solution, combine 1 cup of bleach to 1 gallon of water and mix thoroughly. You can put the solution in spray bottles to make it easier for you to apply it evenly to the infected area. You can also opt to use sponge or towel to wipe the solution onto the infected areas. If necessary, you can use a brush to scrub the infected areas and wipe away. For larger surfaces, you can vacuum with HEPA filters. Do not rinse the cleaned area immediately. Allow the bleach solution to completely disinfect the infected area. You might need to repaint the bleached area to make it look like nothing happened. If you are only dealing with a small infected area, you can use other natural mold-killing solutions that are readily available in your kitchen. Just replace the bleach solution and follow the same procedure as above. Mix baking soda and water with a 50/50 ratio. Follow the same procedure above but do not rinse. Baking soda will leave a thin layer of protection to avoid recurrence of mold. There is no need to mix the vinegar with water to make a solution. Vinegar in itself is effective in killing mold. Make a solution of 2 parts water and 1 part of 3% hydrogen peroxide. For more useful tips, watch this short video. According to experts, there is no way you can eliminate mold and spores entirely. The key to mold control is moisture control. Here are some ways you can control indoor moisture. Repair any water leaks as soon you find them. Not only does it pose potential structural problems, waterlogged areas allows mold to accumulate and thrive. If it gets out of control, you might have to remove all mold-infected areas and replace them. Humidity allows mold spores to grow. With proper air ventilation, there is a huge chance you can keep your home free from mold spores. Do not allow air to stay warm and stagnant. Invest in air vents, conditioners, and dehumidifiers in your bathroom, kitchen, and large appliances such as washers and dryers. You can prevent condensation by insulating your roof, exterior walls, windows, and pipes to minimize the potential for moisture to form from condensation. So that is how to get rid of black mold on drywall. We cannot stress how important it is to handle it with care by not mixing different cleaning agents together, wearing protective pieces of equipment, proper air ventilation, and not let children and pets in the work area. Control mold growth by controlling the moisture and humidity in your home.